Got a lot of stuff to get to today. It’s been a while since I’ve given you any new information regarding Colton’s season. As mentioned before, this has been the least publicly spoiled season they’ve had in probably 5 years. Once they left the country, not much has gotten out publicly. A group date in Singapore, a 1-on-1 in Denver, Caelynn’s hometown and that’s it. Which I’m fine with, since it just means when I do release the episode-by-episode spoilers, you’ll be seeing a lot of stuff for the first time. I’ve already been emailed things like “Well something must be different this season because they’ve kept it under wraps.” Nope. It’s the same thing as it always is, just with different people. There’s drama, there’s crying, there’s cattiness, etc. Just because you didn’t know what was happening every second of every moment during filming doesn’t mean the show is any different. People have become “spoiled” in every sense of the word. It’s like being spoiled isn’t good enough anymore. People expect now to know everything four seconds after it happens, and when they don’t, for some reason they take it out on me, or say I don’t know anything, or claim the show is keeping something under wraps. I hear the same stuff every season. No, this season isn’t any different. I’ve got all your major pieces. It’s the same as it always is. This season will be no different than previous ones. They’ll wrap filming in a couple weeks, I’ll have your winner for you shortly thereafter, and you’ll have your episode-by-episode spoilers after that. Wash, rinse, repeat. Before we get into “Bachelor” stuff, episode #9 of the “He Said, She Said” podcast with myself and Ashley Spivey is here. And let me tell you, it’s a good one. I don’t necessarily wanna say get your Kleenex out, but, these are two pretty somber phone calls. Ashley definitely has hers out in the second call, and as you’ll hear, it’s for good reason. Again, we love hearing from everyone, and everyone’s got a story to tell. I think today’s calls will resonate with a lot of people, so be sure to give a listen. Ok, lets get into it. First starting off with where we’re at right now. Last week, I gave you the final four of: Tayshia Adams, Cassie Randolph, Caelynn Miller-Keyes, and Hannah Godwin. Hannah’s hometown was last Saturday, Oct. 27th, Caelynn’s was Monday, Oct. 29th, Tayshia’s was Wednesday, Oct. 31st, and Cassie’s was Friday, Nov. 2nd. Originally was told that Cassie’s might’ve been Wednesday, but it wasn’t. Tayshia’s Wednesday, Cassie’s on Friday. This past Saturday was the rose ceremony, and Caelynn Miller-Keyes was eliminated. If you follow this stuff enough, you clearly saw Caelynn didn’t hide the fact she was eliminated whatsoever, not only immediately running to Instagram and adding women from the season, she basically added anyone who sent her a friend request. I had at least 10 emails from random fans who told me she added them after they’d requested her. Then to top it all off, Caelynn just completely deleted her Instagram account yesterday for whatever reason. Now your final three are headed off to overnights. At the beginning of the season, I was told two places they were headed this season: Asia and Spain. Well, they already made their trek through Asia in episodes 4 thru 6. As for where they’re headed now, they’re in Portugal. Now, usually the overnights and final rose ceremony are in the same location. Last season with Becca was an exception as they did overnights in Thailand then went to the Maldives for final rose ceremony. Chris Soules season also did Bali for overnights then back to Iowa for the final rose ceremony. But for the most part, they stay in the same place for the last two episodes. Portugal and Spain border each other obviously, so maybe overnights is Portugal and final rose ceremony is Spain. Or maybe both are Portugal the original info was a tad off. But they’re in Portugal now for overnights, so I’ll update you if something else comes down. However, these next two weeks, it’s VERY rare if any pictures get out. It rarely happens once it’s down to overnights and final rose ceremony, so I wouldn’t expect much. Lets talk Caelynn for a bit. I brought this up in a previous post, but now that she’s been eliminated, I wanted to talk about it more thoroughly. I feel I can weigh in with a little bit more knowledge on this Caelynn situation now that I’ve spoken to some people in the pageant world. Because Caelynn was the reigning Miss North Carolina USA, it’s customary that the reigning champion be there to crown her successor. Miss North Carolina USA was held on October 20th, and Caelynn didn’t appear because she was still filming. People in the pageant world are not happy. To me and you, or anyone who doesn’t follow pageants, I’m sure your response is, “Big deal she wasn’t there to crown her successor.” Exactly. Because we don’t follow that world. I saw the responses. I read the emails. I received DM’s. This did not go over well at all in that world that she just randomly chose to be on a reality TV show over being there to crown her successor. She’s taking a TON of heat for it in that world which, lets be honest, is a big part of her life. Bachelor Nation probably doesn’t give a f**k she wasn’t there. But pageant world does, so just know that. 1)	She went on the show knowing that if she made it that far and was still filming on Oct. 20th, she wouldn’t be able to be at her successor’s crowing and had made her mind up before she left that she was fine with that. 2)	She went on the show thinking that she wouldn’t even make it that far and fully expected to be back by the 20th and would appear. 3)	She was told before she left something to the effect of, “If you’re still on the show, we’ll let you leave and come back” and was lied to and wasn’t allowed. From everything I’m hearing, it was most likely #1. Caelynn knew what she was getting into when she left for filming, she knew there was better than a 50% chance she’d still be filming when Miss North Carolina 2019 happened, she knows her appearance on this show will bring her more opportunities than the pageant world would since her reign ended on Oct. 20th, and she’d made up her mind she was fine with that. We’ll see what Caelynn says when she’s finally allowed to talk, but its my understanding Caelynn knew exactly what she was doing when she signed up for this show. Now, the next question on everyone’s mind is “Will Caelynn be the next ‘Bachelorette’?” We know that in their 14 seasons, every “Bachelorette” they’ve chosen finished in the top 4 of the season they were on. They’ve never strayed outside of the top 4. So of course Caelynn is in consideration. And certainly a strong candidate no doubt. But it’s way too early to say they already know or she’s already been chosen. They don’t know yet. But I mean you’ve got the runner-up to Miss USA 2018 finishing in the final four of the “Bachelor.” We’re not dumb. Of course she’s a major candidate and will probably have a lot of people hoping it’s her. And I’m sure she wants it. Whether they ultimately choose her, time will tell. One thing to keep an eye on though is Miss Universe, which takes place Dec. 2017. Wanna guarantee that Caelynn WON’T be the next “Bachelorette?” That’ll be the case if Miss Nebraska and current Miss USA, Sarah Rose Summers, wins Miss Universe. If that happens, Caelynn becomes Miss USA. And Miss USA and Miss Universe contractually have to move to NY and live there for a year and do numerous appearances for a whole year. Zero chance she’d be able to go film the “Bachelorette” for a couple months if she’s Miss USA. But from what I’m hearing, Miss Nebraska probably isn’t winning Miss Universe. Kind of a long shot. But just know if she does, Caelynn’s chances of becoming “Bachelorette” become moot. Can’t happen. Something to pay attention to. If Sarah doesn’t win Miss Universe, then yes, you can officially begin the “Caelynn for Bachelorette” campaign, something that I’m sure she will be spearheading because, yes, it is a topic that is brought up by the women during filming. A few posts ago, I teased a few things to expect this season. I’ve cut and pasted what I wrote and filled in your answers in bold where it’s needed. Thanks for all the info on Colton’s season Steve! What they act like, of course, remains to be seen, but he certainly has a lot of visually attractive girls. He will have been coached, like nobody’s business, and I predict this is not going to be as boring as so many have thought it is going to be. I am not surprised Miss Universe Pageant contestant as beautiful as she is – is not going to be F1. I do think she will be the next Bachelorette if at all possible. That storyline is already written -we could do it – and the guys will line up with their tongues hanging out at the chance for a go at her. Some good info Steve. I’ve been dying to read something. Can’t wait for the season to start. I think they are most likely not going to choose one of the girls from this season to be the bachelorette. 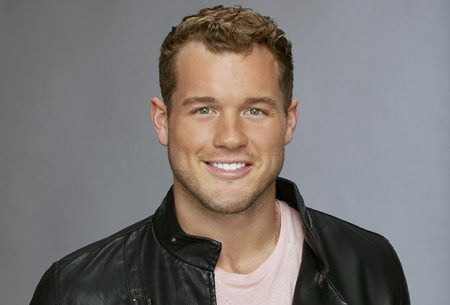 The producers chose a very young cast and I don’t think they want to cast a 23/24 yr old as the bachelorette. The youngest they usually go is 26yrs old, and i don’t see them going any younger.